With April showers come.. Poetry Month! Here in the Northeast, I am still (occasionally) scraping ice off my windshield in the morning, but I know elsewhere trees are in bloom, birds are singing and everyone is in shorts. OK, the boys in my school are in shorts, even though it’s hardly above 40. However, that’s due to the “Why?” chromosome more than outside temperature! (Sorry for the tangent – back to the blog!) 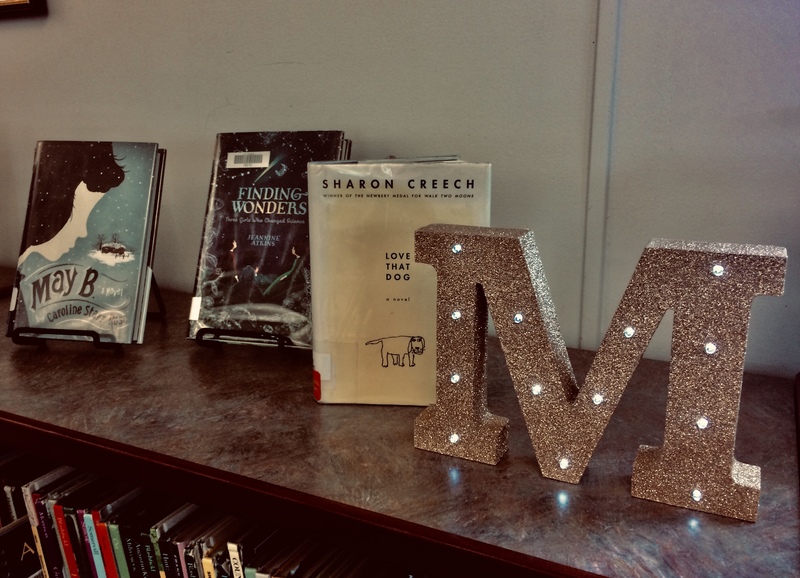 April was designated as Poetry Month by the Academy of American Poets in 1996 in order to celebrate and recognize the role poetry plays in our culture. The Academy provides a myriad of resources for poetry month including lesson plans, web site resources, and links to poem collections that kids like. You can also hold a “Poem in Your Pocket” day on April 18th. Other free educational websites like Reading Rocket, PBS Learning Media, and yes, Pinterest contain resources to make poetry come alive for your students. Another interesting project is a crowd sourced bilingual poem with contributions from second and third graders by former poet laureate, Juan Felipe Herrera on the Library of Congress website entitled, The Technicolor Adventures of Catalina Neon. You can choose to hear it read aloud or see the pictures with amazing illustrations by Juana Medina. To hear poetry read aloud, Youtube and Vimeo are full of poetry read by both the famous and the not-so-famous. 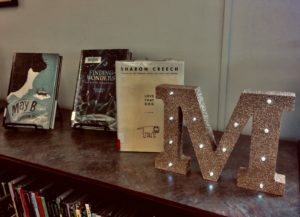 Novels in Verse on display with the word “Poems” in lit letters. April is also a good time to evaluate your poetry collection. Maybe you need to “weed” some of the more tired books that may not have traveled much beyond your library walls. Give an old book a facelift by recovering some of your more classic volumes. Check your representation at this time as well. There are so many new books that feature poets of color. Some of my new favorites are 28 Days of Poetry Celebrating Black History, Bravo: Poems about Amazing Hispanics, and Can I Touch your hair? : Poems of Race, Mistakes, and Friendship. For those of us that love literacy, playing with words is icing on the cake. If you would like to share what YOU are doing for poetry month, please feel free to leave your ideas in the comments below. It’s also a great way to brainstorm what might work at your school! This year, we will once again have fourth graders recite their favorite poem at morning meeting – and I’m promoting “Poem in your Pocket”. What are your ideas? This entry was posted in Uncategorized and tagged Academy of American Poets, poetry, poetry month by Kelly Depin. Bookmark the permalink. Director of Libraries and Technology at Derby Academy in Hingham, MA.